This guest post was written by Suzanne Carenzo, a Zephyr Alumna. She recently joined us on the Peru Transformational Journey, a new kind of trip for Zephyr that focuses on personal transformation and growth. Please enjoy reading about Suzanne’s experience. Well, my journey to Peru has come to an end and I cannot believe all that I have accomplished physically, emotionally & spiritually in such a short amount of time. The fact that I decided to go on this journey only a few weeks before the departure is mind blowing to me…it was the most spontaneous decision I’ve ever made. I’m so thankful for Jim encouraging me to go and my parents agreeing without hesitation to come down and help Jim run our busy household while I went off on this adventure. Months ago I had learned about this trip and had said, “no no, I can’t do that.” I thought it sounded amazing but of course, I couldn’t go, right?! I made all of the excuses in the world why I couldn’t or shouldn’t go. …how selfish of me to go…the kids need me to take care of all of their activities and their needs…the kids just plain need me…I shouldn’t spend more money on myself…we have so many projects taking place so this isn’t a good time…I’d be gone during an important time for my work…I’m so out of shape how will I ever be able to do all of the hikes and ESPECIALLY the Inca Trail…my neck, back, or feet won’t make it…I will only know two people on the trip…I’ll be so out of my comfort zone…I need a new passport…I have never hiked before so what do I bring and how in the world will I survive? You get the picture, so many excuses. The number one excuse I had was that it would be so SELFISH of me to go on this trip. How could I go off and do something like this just for myself?! I learned a new term this week that helped me so much with this…I’ll circle back on this topic. So fast forward…I take the plunge and say YES to Peru and I’m so elated that I did. I am grateful for this beautiful country rich in history, culture, and love for Mother Earth. The Peruvians’ respect for the environment and the spiritual bond they have to their land is inspiring. It is exemplary for all human beings to learn from. Their nourishing and fresh food is farm to table but it’s more than that. There’s love and thought put into the preparation and cooking of each meal. The physical fitness of the Peruvians whether they’re 5 years old or 70 years old, they are active and they take care of one another (it takes a village). Oh and those mountains…those magical magnetic mystical Andes mountains…they are the heartbeat of this land. They took my breath away from the minute I arrived until the minute I left. I understand why our tour guide, Santiago, said he is so sad when he does not see “his” mountains for more than 2-4 days. There truly is something so fulfilling, powerful and comforting about them. The trek to Machu Picchu will forever be a compass for me. Our 8-hour hike on the ancient Inca Trail to Machu Picchu was a once-in-a-lifetime experience! I’m not gonna lie, it was by far the hardest thing I’ve ever done physically and mentally. We hiked a total of 8.7 miles and up we went to an incline of another 3,000 ft. (We started at 5,000 ft and ended up at the Sun Gate of Machu Picchu at approx 8,000 ft). When I got to the Sun Gate I felt an overwhelming sense of pride and accomplishment. It was an emotional moment looking down on the Sacred ruins of Machu Picchu. And then the last hour down to the ruins was filled with a cleansing of tears – an immense amount of healing emotion. Yes, people, this trek on this ancient trail does this to you. It’s a divine warmth that feeds your soul. I felt so grateful for sharing that hike with this supportive tribe of people from all over. We hiked in a cloud forest, cheerleading and encouraging one another, and let’s not forget the offerings of bug spray, sunscreen, electrolytes, TP & Advil. Unforgettable. Our journey in Peru was so fulfilling through so many towns and ruins coupled with early yoga sessions, challenging hikes, health lectures, authentic conversations at breakfasts/lunches/dinners, and led meditations. The most amazing one took place at Machu Picchu sitting amongst the ruins that were built by the Incas 560 hundred of years ago. All of this has enriched me, transformed me, and brought me so much joy and contentment. The sweetest gifts of this trip are the friendships that were made, the tears that were shed and the laughs that never ended. From CA to TX to the Carolina’s to NJ, we all will forever have this special bond. So back to me feeling “SELFISH” and my lesson with this. I learned that I need to toss that term and replace it with “SELFULL”. Thank you, Brandy Tolbert Freeling. Doesn’t that take the negative connotation away? The more we take time to work on ourselves…to fill our souls with self love and become “selfull” the more we have to give to our babes, husbands, wives, family, friends, etc. I’ve learned that I need to practice more self love and being “selfull”. I believe I was meant to go on this trip to awaken my independence, perseverance, and my spiritual side, to self reflect and to grow. Because of this adventure, I will be a better person and role model for my children. I’m filled with great emotion and gratitude being immersed in this alluring country and forever it will be in my heart. This also ignited my desire to travel and explore more. ~ Little by little one walks far. ~ Gold, when beaten, shines. 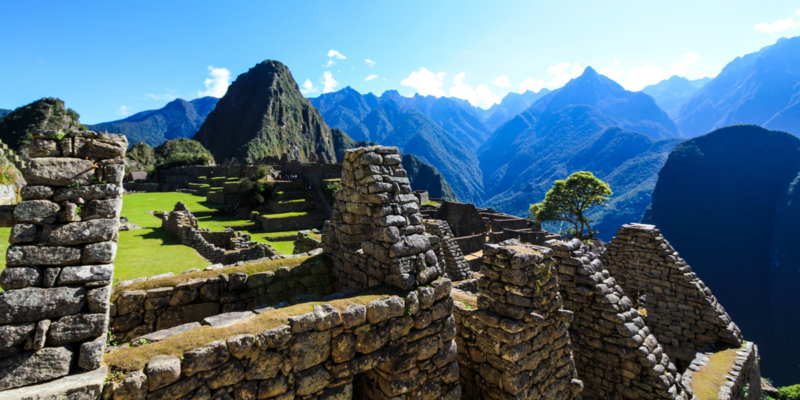 You can experience your own transformational journey on this year’s Peru Inspirational Adventure – booking now available. Sign up to receive an email whenever we have a new post. Meet Our Newest Zephyr Guide – Jose Bordas! Need help planning your adventure? We'd love to hear from you! You can reach us by phone, email, or even live chat. Sign up for our newsletter to receive regular updates on our upcoming adventures.